California Attorney General Kamala Harris has joined Richmond residents and environmental organizations in sharply criticizing plans for a proposed expansion of Chevron’s Richmond oil refinery. In a ten-page letter to the City of Richmond planning department, Harris detailed criticisms of the city’s Draft Environmental Impact Review (EIR) of the project, which was released in April. The EIR is based on plans and information Chevron submitted to the city. The attorney general said Chevron’s planned project would increase the risk of accidents at the refinery, worsen climate change, and endanger Richmond residents by increasing air pollution, which would further harm the health of people in this community, already among the most polluted in the state. She said Chevron’s plans for addressing these problems were seriously inadequate. In the letter, Harris noted that the central point of the project is that Chevron plans to start bringing in more dangerous crude oil — higher in sulfur, which caused the corrosion that led to the fire and explosion at the refinery in August 2012. 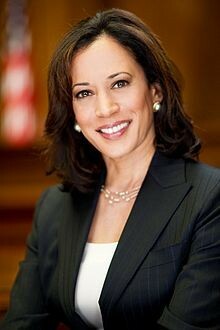 But, Harris charged, plans for assessing and managing the increased risk are inadequate. For example, she noted that Chevron plans to wait until after the new construction is finished to develop a Risk Management Plan. That makes it impossible to build the project itself in a way that makes it safer — the “inherently safer technology” approach recommended by the US Chemical Safety Board in its criticism of Chevron after the 2012 fire. Waiting until after the project is built also makes it impossible for the city and the public to evaluate the Risk Management Plan, so Harris said instead that the plan should be part of the EIR. Harris also detailed numerous other risks she said are inadequately addressed in Chevron’s plans and in the EIR. On another issue, Chevron acknowledges that its project will cause a big increase in greenhouse gas emissions, contributing more to climate change. The company says, however, there will be no “net” increase in emissions because it plans to “offset” emissions from the Richmond refinery by buying greenhouse-gas-emissions credits through the state’s new cap-and-trade system. Harris said the company should explain how increasing its greenhouse gas emissions relates to the state’s climate goals. Echoing the complaints of many Richmond residents, Harris also pointed out that the EIR fails to talk about the “cumulative impact” of the increased air pollution Chevron’s project will cause. To meet the requirements of California law, Harris wrote: “a project’s impacts must be evaluated in the context of the local setting . . . for example, those affected who may already be subject to higher pollution burdens and thus more sensitive to even seemingly small incremental increases in that burden . . . Given that the residents of Richmond are already facing some of the highest pollution burdens in California . . . the EIR must . . . analyze whether additional pollution will contribute significantly to the community’s existing public health problems.“ Harris noted that the project is located close to schools, child care centers, hospitals, elder care residences, and community centers. Instead, Harris wrote, Chevron should take measures that would actually reduce air pollution, and consider less environmentally harmful approaches, such as limiting the amount of high-sulfur fuel processed, limiting hydrogen production (the main source of increased greenhouse gas emissions), and limiting the types of crude oil they process. The letter specifically mentioned types of crude oil the community has expressed concern about, such as highly explosive Bakken crude oil and extremely contaminated heavy crude oil. The attorney general recommended that the city make major changes in the EIR to address these problems. The Richmond Planning Commission is currently scheduled to hold a hearing on the EIR for Chevron’s expansion project on July 9.